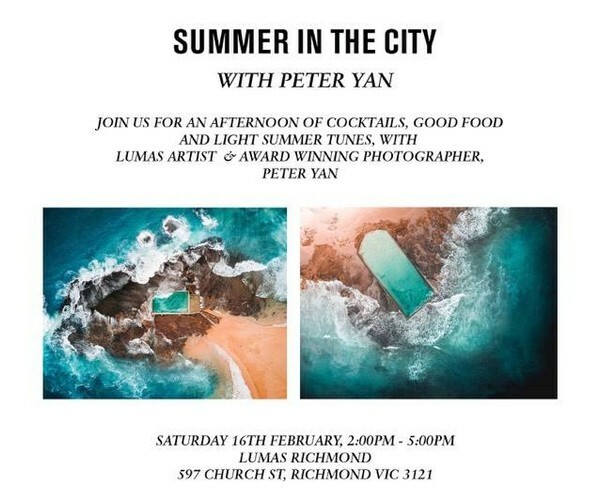 On Saturday 16th February, LUMAS is hosting a ‘Summer In The City’ cocktail afternoon at our Richmond Gallery, with special attendance from LUMAS artist and award winning photographer, Peter Yan! The afternoon will feature cocktails from Everleigh, a tasty spread, ice cream popsicles and light summer tunes. Don’t miss the chance to celebrate the last days of Summer with other Melbourne art lovers!